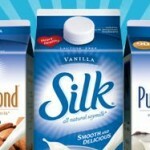 Go here for $1.25 off 1 Silk half gallon coupon. Look in the upper right corner. You will need to register to get a $.75 coupon. Then you will have the option to take a very short 1 page survey to change the coupon to $1.25. After you print your coupon, remember to hit the back button a couple of times so you can print the coupon once more.